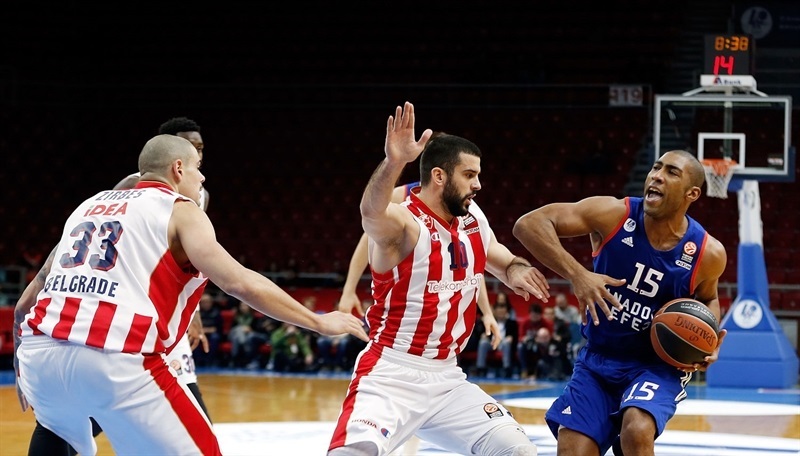 In an outstanding showdown that went down to the wire, Anadolu Efes Istanbul rallied from a 15-point deficit in the final 12 minutes to beat Crvena Zvezda Telekom Belgrade 85-84 at home on Wednesday. Dario Saric became the hero by hitting the game-winning jumper with 3.1 seconds left. 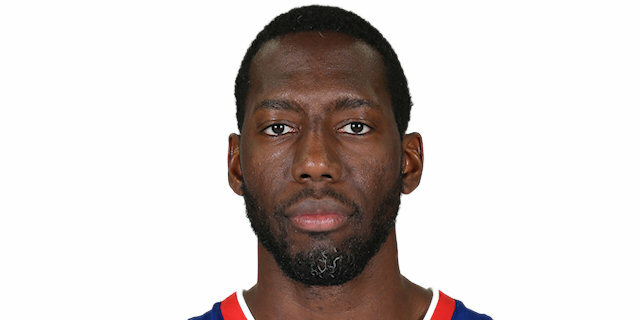 Bryant Dunston led the winners with 21 points on 7 of 8 two-point shots. Jayson Granger and Jon Diebler each added 13 while Saric had 12 for Efes. Maik Zirbes led Zvezda with 22 points and 12 rebounds. 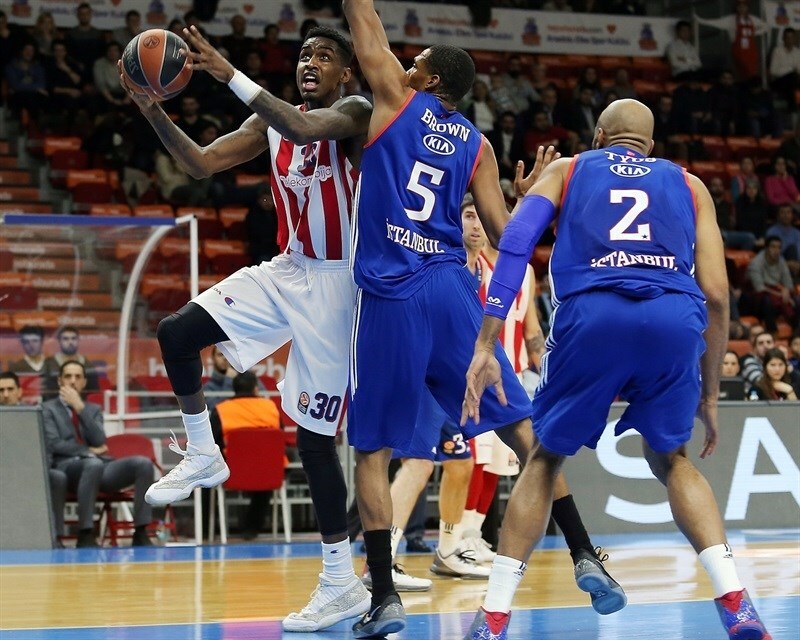 Quincy Miller added 12 points and Marko Simonovic and Branko Lazic each scored 10, while Stefan Jovic dished 11 assists for the guests. Jovic, Miller and Zirbes fueled a 1-10 run that helped Zvezda to a double-digit lead and an unstoppable Zirbes kept the guests way ahead, 44-54, at halftime. Jovic and Zirbes kept pushing Zvezda after the break to make it 55-70 late in the third quarter. 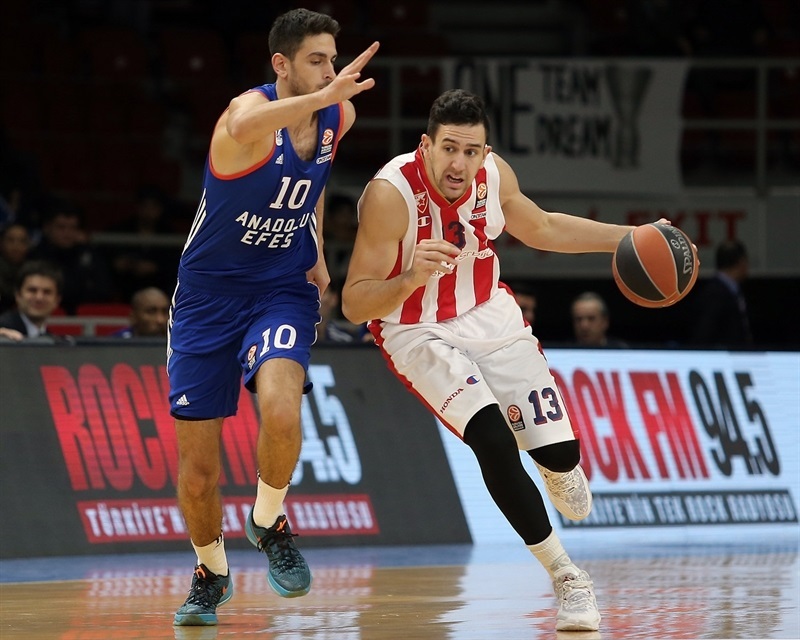 Dunston, Saric and Granger stepped up for Efes early in the fourth quarter, as the hosts shut down Zvezda with great defense. A free throw by Dunston tied it at 79-79 with four minutes left. A three-pointer by Lazic gave Zvezda an 81-84 lead, but a layup by Granger and a jumper by Saric won it for Efes. Zirbes got Zvezda going with a two-handed dunk, which Saric bettered with a layup-plus-foul for a 3-2 Efes lead. Nemanja Dangubic took over with a bomb from downtown, but Diebler copied him at the other end to put the hosts back ahead. Zvezda kept trying to get Zirbes involved without much success and another triple by Diebler gave Efes a 9-5 edge. Jovic sent a bullet pass to Miller for a slam and then found Zirbes for a layup that tied it at 9-9. Saric and a red-hot Diebler stepped up with consecutive triples to give the hosts a 15-9 advantage. Miller hit a one-handed floater, which Marko Simonovic followed with a driving layup to bring Zvezda within 2. Zirbes made free throws and Marko Guduric bettered Dunston's off-balance layup with a triple that put the guests ahead, 17-18. After Derrick Brown dunked, Vasilije Micic swished a corner triple and free throws by Dunston tied it at 21-21. Marko Tejic dunked, but a put-back layup by Cedi Osman and a buzzer-beating layup by Brown gave Efes a 25-23 edge after 10 minutes. Thomas Heurtel hit a one-handed floater early in the quarter, but a free throw by Micic and a big basket by Guduric kept Zvezda within 1. Simonovic struck from downtown in transition to force Efes to call timeout at 27-29. Heurtel split foul shots and Simonovic finished a good Zvezda play with a layup. Vladimir Stimac and Furkan Korkmaz exchanged layups before Branko Lazic set a 30-35 Zvezda lead. Miller shined with a driving layup and Stimac scored again, but Diebler brought Efes within 34-39. Alex Tyus banked in a close shot and a dunk by Korkmaz caused Zvezda to stop the game at 38-39. Jovic shined with a fast break layup off a timeout and a close basket by Zirbes gave the guests a 39-43 advantage. Miller dunked again and a layup by Zirbes boosted the guests' margin to 39-47. Efes kept struggling to score and a fast break layup by Micic broke the game open at 39-49. Jayson Granger sank a six-meter jumper, but an unstoppable Zirbes followed a layup with a three-point play for a 41-54 score, which Korkmaz cut to 44-54 with a three-pointer at the halftime buzzer. Dunston made free throws right after the break, as Zvezda was held scoreless for almost two minutes. 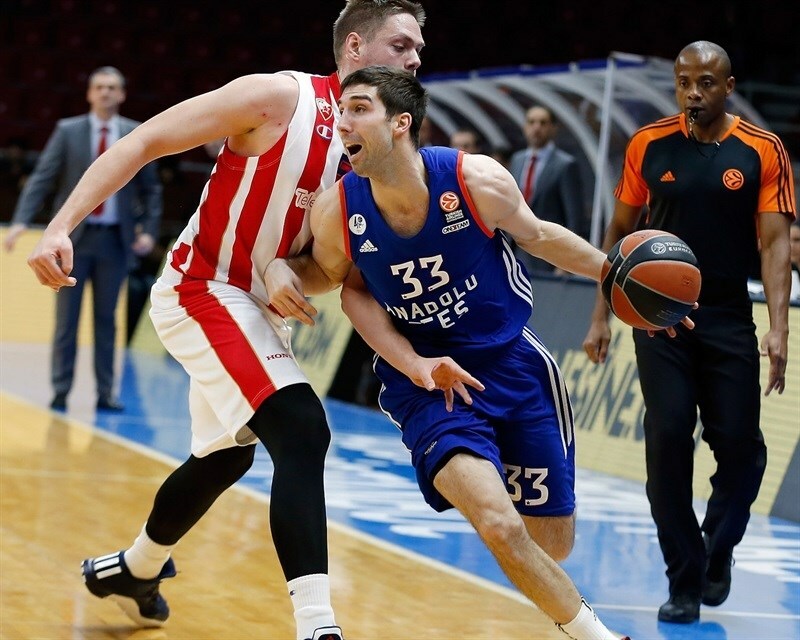 Efes struggled to find open shots, too, and Zvezda went back to basics. 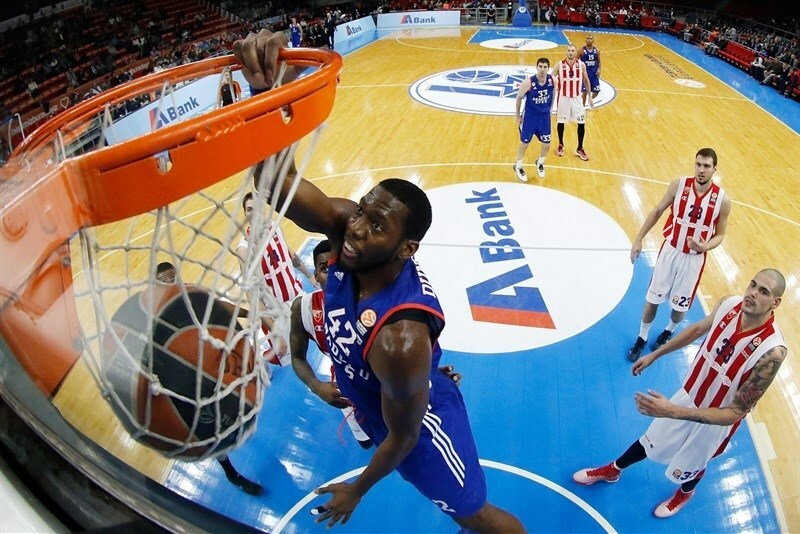 Zirbes scored down low, but a three-pointer by Huertel gave Efes hope at 49-56. Miller hit a jump hook and a layup by Jovic restored a 49-60 Zvezda margin. Dunston tried to get the crowd involved with a one-handed slam, but Zvezda kept dominating the game with great defense. Zirbes split free throws and another driving layup by Jovic kept the guests out of trouble, 51-63. Dunston dunked again, but Simonovic did even better with another bomb from downtown in transition. 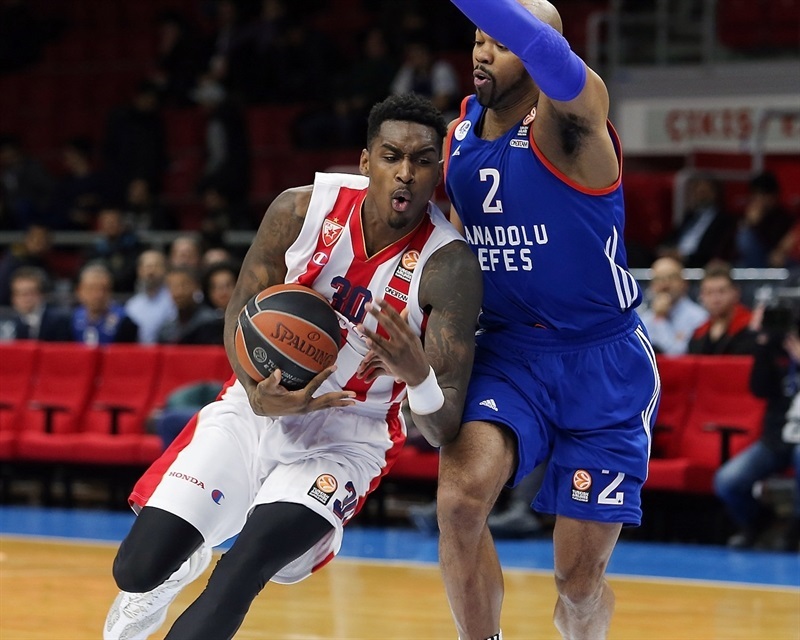 Dunston kept pushing Efes with a layup, which Miller matched with a step-back jumper. 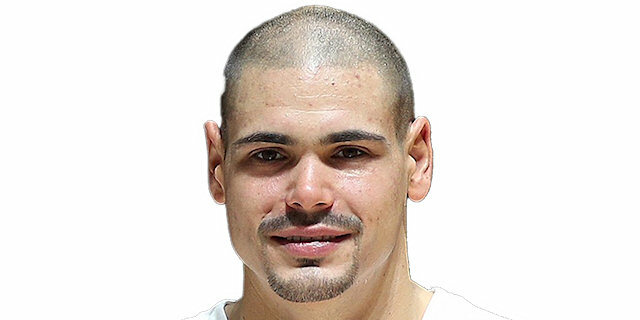 Jovic sent his 10th assist to Zirbes for a layup after which the hosts called timeout at 55-70. 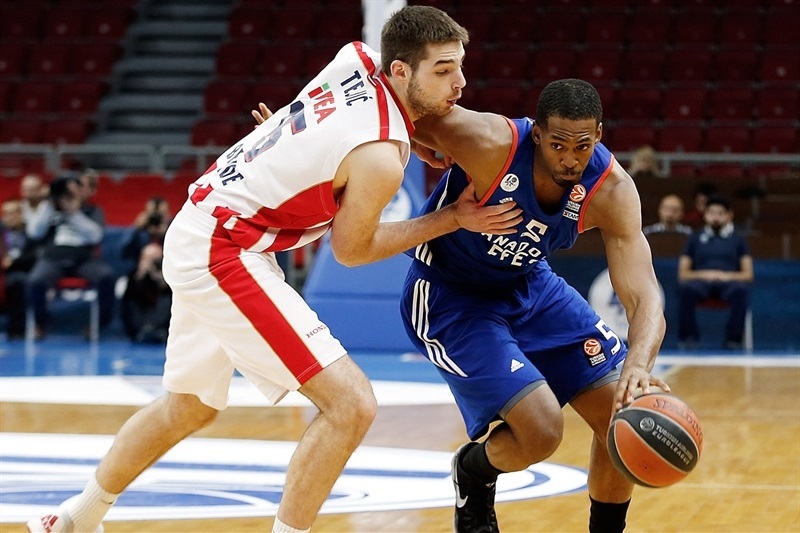 Granger buried a three-pointer and Tyus brought Efes within single digits, 61-70. A layup by Stimac boosted the guests' lead to 61-72. 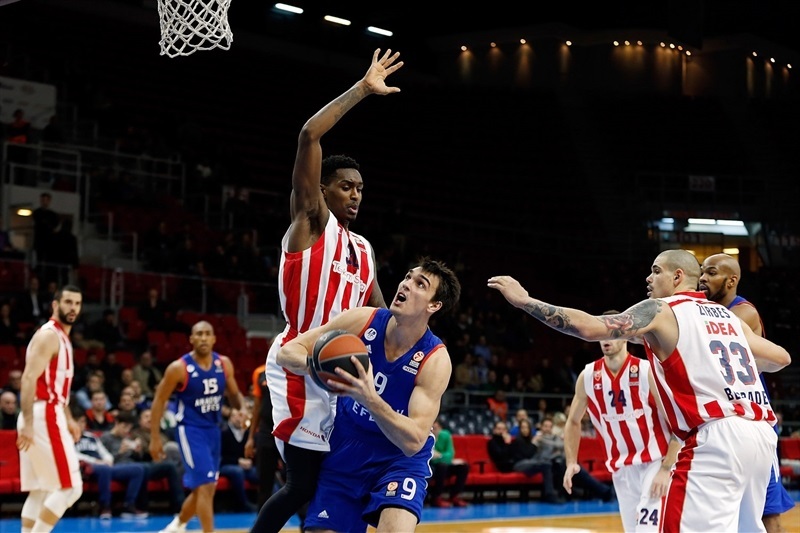 Saric shined with a follow-up layup early in the quarter and soon added an acrobatic basket to give Efes hope at 65-72. A three-pointer by Osman caused Zvezda to stop the game at 68-72. The visitors struggled to score and a dunk by Dunston ignited the crowd at 70-72. Lazic swished a corner triple and Zirbes matched Dunston's turnaround jumper with a layup. Granger stepped up with a driving layup to keep Efes within 74-77. After Lazic made free throws, Granger hit a close jumper and free throws by Dunston tied it at 79-79 with over three minutes left. Micic and Granger exchanged layups and a three-pointer by Lazic put Zvezda back ahead, 81-84. Granger kept pushing Efes with a driving layup, as the hots used a couple of non-shooting fouls to run the game clock down. Micic missed a close jumper, giving Efes a chance to win the game. 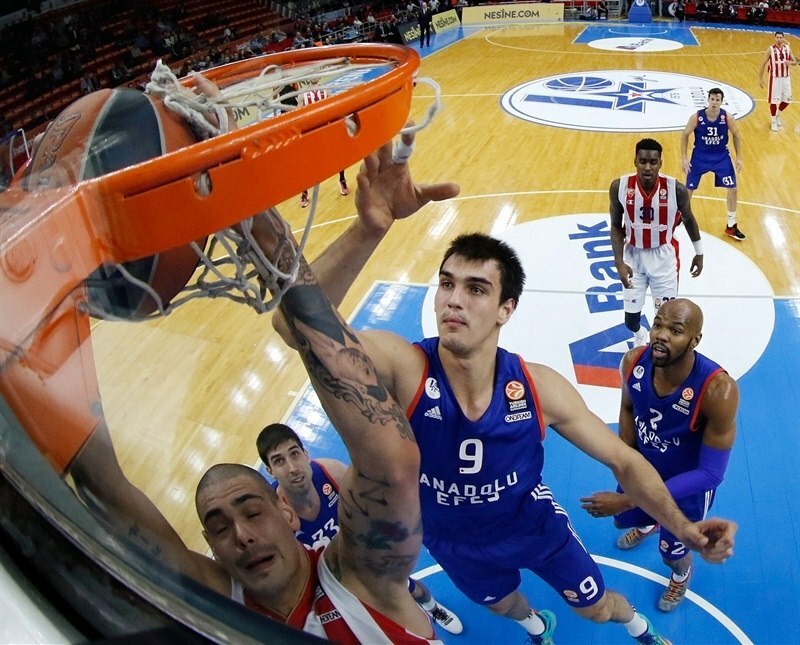 Efes moved the ball around and found Saric, who nailed a five-meter jumper with 3.1 seconds left. Zvezda called timeout and Zirbes missed an off-balance shot at the buzzer. "I think that luck was with us today. Crvena Zvezda was the better team tonight. For me the only explanation about our game is that we played the game under big pressure and let our opponent play its game. They scored 54 points in the first half. They dominated the first half; made 72% on two-point shots and 44% on threes. It means we did not show any reaction in the first three periods. In the third quarter they were ahead by 15 points. We were minus-11 in the beginning of the fourth period. We never give up. Definitely a very big victory at the opening of the Top 16. A great victory. It was important for us to win today. Congrats to Crvena zvezda for sure. Good luck to them for the future. 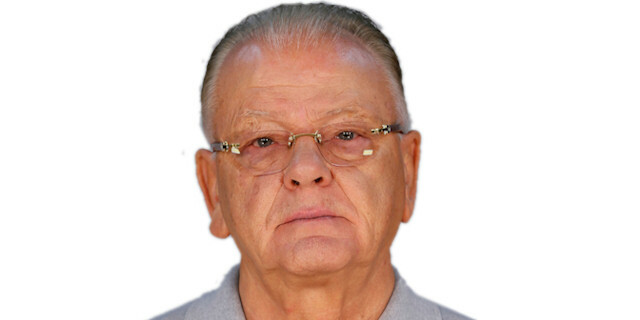 [Zvezda] is a team with good coaching and good young players. I wish them the best in the future in the Euroleague and Adriatic League. For sure we have to analyze why we played bad for three quarters tonight. I wish happy new year to everybody in the world, with health and love, a happy year. " 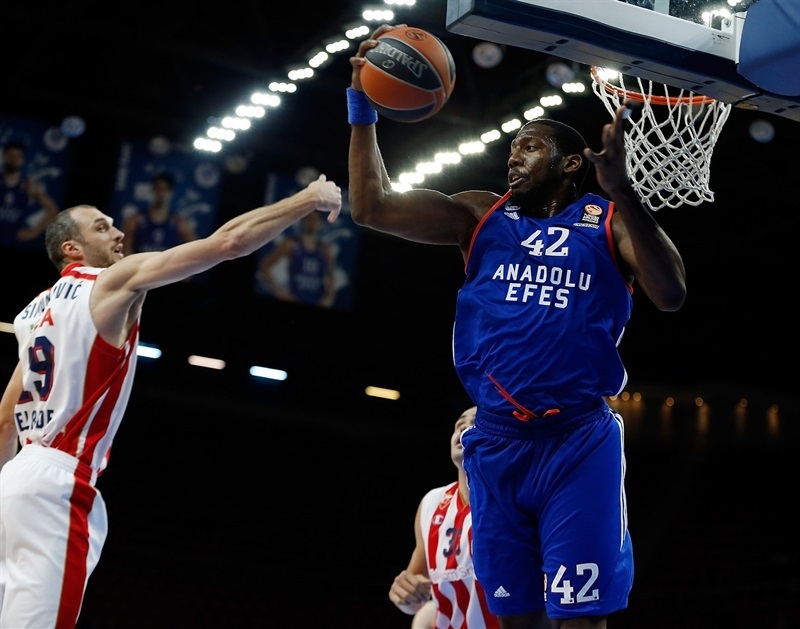 "Congratulations to Efes for the victory. We started offensively very well, but not defensively, made some mistakes in defense. In the first half we had 54 points. But we had problems in offensive rebounds. At halftime we knew that Efes would come aggressively in the third quarter. We were successful in keeping the difference. In the last quarter we made too many mistakes. We had the ball for victory. We made a decision in the last offense of Efes, we defended because Efes has good shooters. We had the shot for victory in the last 3 seconds, but it didn’t go in. 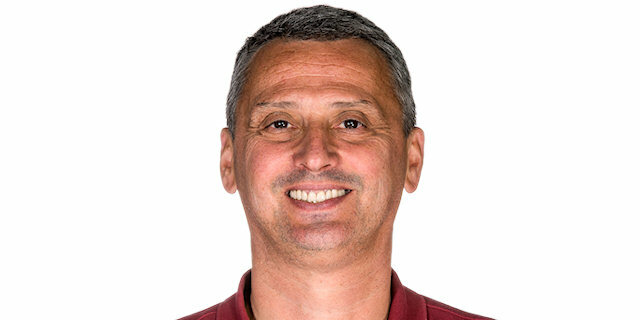 We came to Istanbul knowing that we’d play against one of the best teams in the Euroleague with one of the best coaches in Europe. In the end we could not beat such a great team." "I am just trying to bring energy every time I am out there. It was tough in the first half, they scored too much. Once we changed our defense and figured out what they wanted to do, we were able to stop them a little bit and luckily, we made some shots in the end. We were playing too laid-back and let them get comfortable and do whatever they wanted on offense. Once we fixed that, it was pretty good, but we have to start doing that from the beginning of the game and make it easier on ourselves." "It was a tough game. In the Euroleague at this stage all games are difficult. I think we played very good, especially in the first quarter. We made small mistakes and let them score easy baskets, but in the Euroleague you must not make those mistakes. "